Nancy J. Thomas, DVM, MS, Diplomate, American College of Veterinary Pathologists, is an endangered species specialist for the U. S. Geological Survey, National Wildlife Health Center. 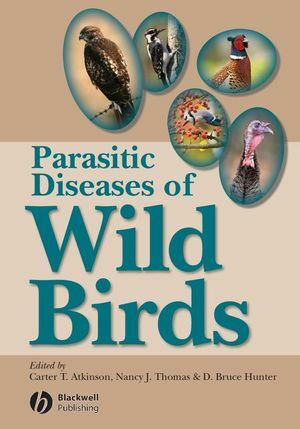 She has more than 20 years of experience in diagnostic pathology and research on wild bird diseases. D. Bruce Hunter, DVM, MSC, is a professor in the Department of Pathobiology, Ontario Veterinary College, University of Guelph. His specialty encompasses avian, fur-bearing, and wildlife pathology and ecosystem health. His research interests have included infectious diseases in commercial poultry, West Nile Virus in owls, and diseases of mink.